Based on my visits to most manufacturing industries, the temperature transmitter is one of the process instruments that can be normally seen. Each is using either a thermocouple sensor or a Resistance Temperature Detector (RTD) sensor, where the majority of the temperature transmitters are using an RTD (commonly a PT100) as the sensor. So having the knowledge to understand and to learn how to calibrate it is an advantage for every technician. Why do we need a temperature transmitter calibration? A temperature transmitter comprises a sensor and a transmitter in which both have an effect in the final output going to the display panel. 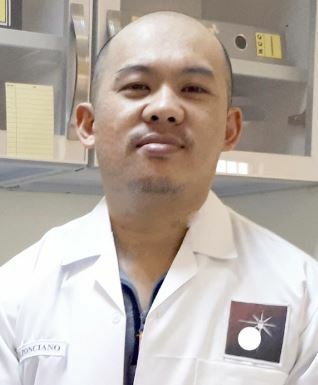 During my on-site calibration of temperature transmitter. over time, sensors are deteriorating through different exposures in environmental effects such as vibrations and extreme temperatures. The possible presence of drift due to the long period of continues usage while exposed to different factors in the environment. So it is a very wise decision to have it calibrated regularly. In this post. I will share with you a calibration set-up of temperature transmitter in 5 different ways or set-ups. I hope this is a good guide for your in-house calibration. 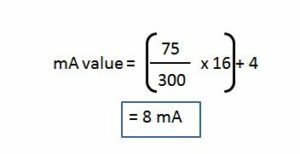 I will also share in this post the chart or table on how to convert the temperature to resistance manually, how to use a simple formula to convert temperature values to resistance and lastly, how to convert temperature to current using also a simple formula. As a calibration technician, it is very important if you can perform or understand all these basics in a temperature transmitter calibration. Once you have understood this, you can apply its principles to other transmitters. I have presented a related topic about transmitter in my last post (see it here Pressure Transmitter). Most of the principle of calibration is the same. The only differences are the standards to be used and the parameter or process signal which is the temperature. This is the simplest and more conventional calibration set-up that involves a loop calibration. Just insert the temperature transmitter probe in the Metrology Well then compare the readings displayed in the PLC display panel. But one disadvantage of this set-up is that it takes more time if more temperature range is to be checked for accuracy because we need to stabilize the temperature for every set point. 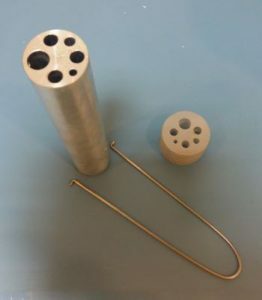 Inside the metrology well is a metal insert with different sizes of holes, ensure that you choose the most exact fit or size of the insert hole. A good fit and insertion depth of the probe inside the well will provide the most accurate results. Once properly inserted, the metrology well can now simulate the required temperature to be displayed in the PLC display panel since this type of transmitter has no display. For the calibration procedure in this setup, please visit this link.. 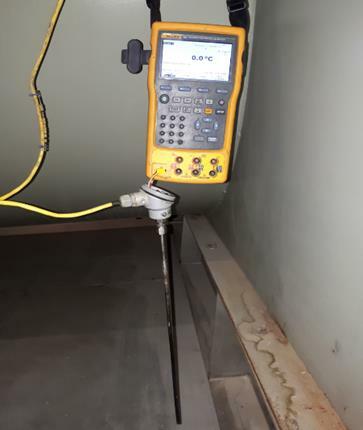 This set up utilizes 2 reference standards, the metrology well, and the Fluke 754 process calibrator. One is for heat generation and the other is for display. This is a set-up in any case that the transmitter is disconnected from the loop or if you want to perform a bench calibration. In this setup, the RTD sensor is removed from the transmitter (Endress+Hauser TMT180) and directly attached to Fluke 754 input probes in a 3-wire connection. It can measure the signal from the RTD sensor and directly display it as a temperature. Fluke Metrology Well and Process Calibrator for actual temperature simulation and display of RTD sensor. Refer in the photo below. IF for any reason that you only need a two wire connection, you can short terminal 5 and 6 and connect it as a two-wire connection. RTD sensor connection to Fluke 754 process calibrator to display the temperature reading. In this setup, the Fluke 754 becomes now the display of the temperature transmitter. And now, we can proceed with the calibration. The Fluke Metrology Well will generate the required temperature. 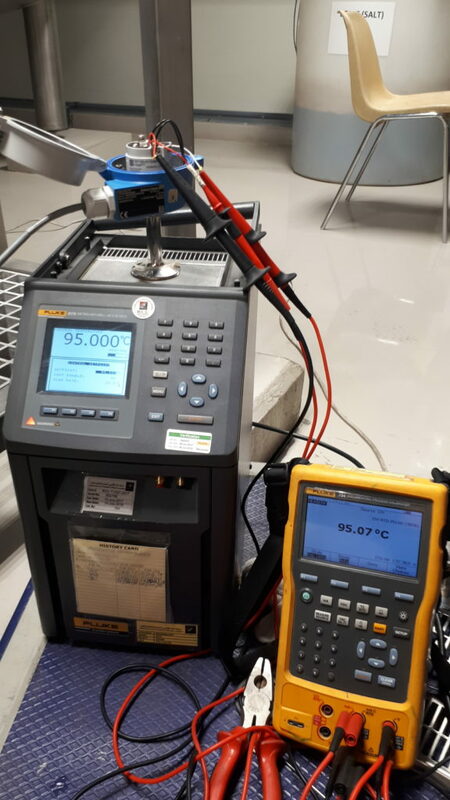 We will compare the reading of the displayed temperature from the Metrology Well to the displayed temperature of Fluke 754. 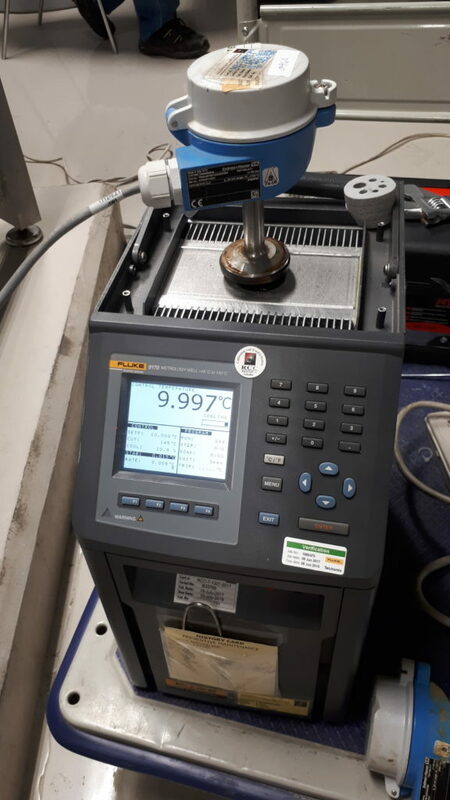 If you do not have a metrology well, you can use this set up by just considering a 1 point verification of the temperature sensor which is the present user range only. Your only reference standard will be the Fluke 754. Just like the thermocouple sensor, you can also simulate an electrical signal to a transmitter with an RTD sensor. 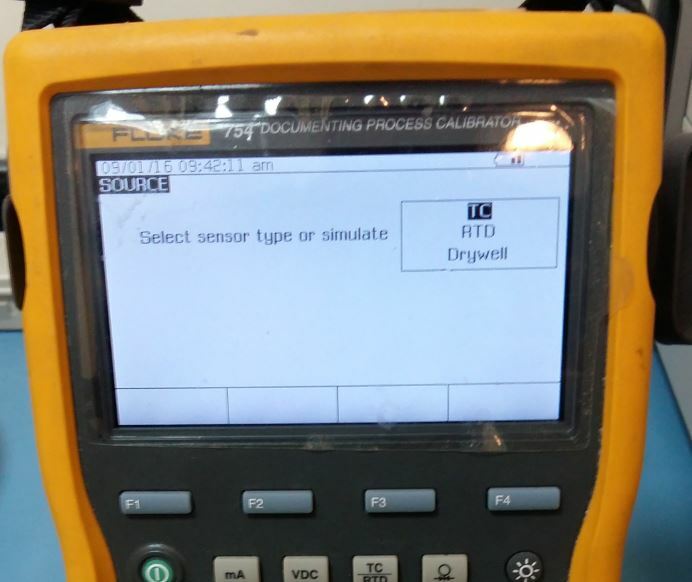 A process calibrator like Fluke 754 has an RTD calibrator that can simulate both temperature and resistance signal that can be directly fed into the transmitter input terminals. This type of setup is also suitable for transmitter loop checking. This type of calibration setup and a procedure is one of the easiest. The Fluke 754 has the capability to simulate a direct temperature signal that is being displayed in the PLC display. No need for conversions. 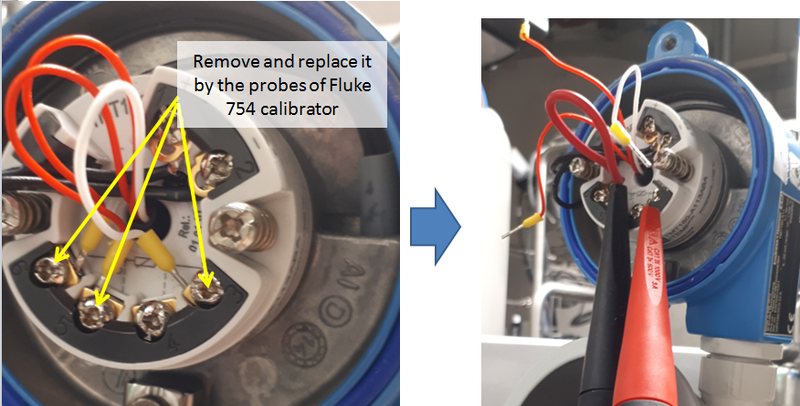 Based on the photo below, we will remove the wires or connection of the temperature transmitter that is going to the PLC and replace it with the wires or probes of the Fluke 754 process calibrator. Note that this is a 3-wire connection set-up. This is the Endress+Hauser TMT180 type temperature transmitter (see the terminal 6, 5 and 3 in the above setup). This is where we will connect the probes from the Fluke 754. Resistance simulation using an analog signal will be discussed on the next set up below. Keep on reading. This procedure I can say is the oldest and maybe the cheapest set up because we are using an analog signal. This analog signal is a resistance coming from a set of resistances which is known as the resistance box. 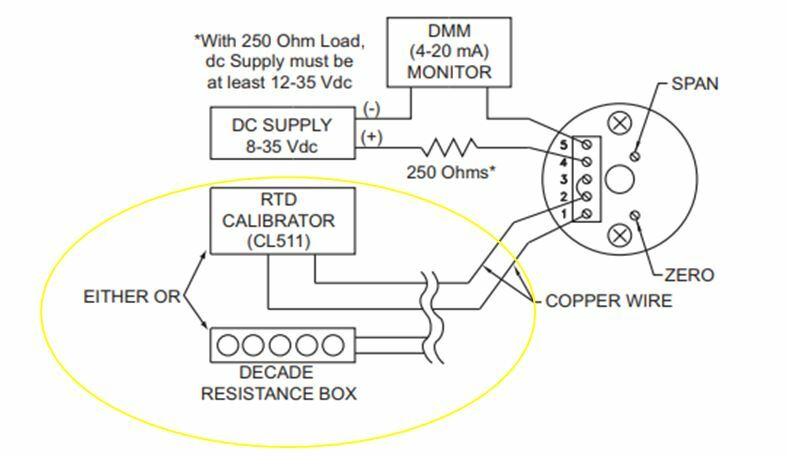 Resistance Temperature Detectors (RTD) as the name implies is dependent on the change in resistance. The principle is that an RTD is a sensor that produces a resistance output once there is a temperature change. And this resistance value has a corresponding temperature output. By using a resistance box, we can simulate different values of resistance needed in the process. This is also one way of performing a loop check. 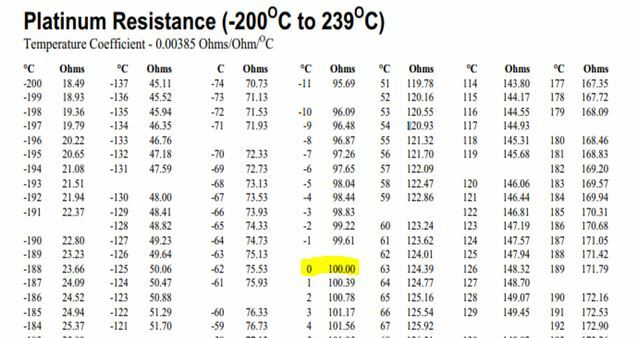 Since you know that the RTD sensor is a PT100 (you can check it on its specs just in case), you can determine the exact resistance to temperature conversion. A table is available as a reference for easy conversion. See below. The RTD sensor connection will be removed from its place or connection in the transmitter, the same with the set up above, and we will replace it with the probe coming from the resistance box terminal. 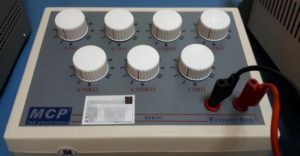 Then we will just produce the necessary resistance value by rotating the knob and setting it to a known resistance value with the corresponding temperature. – in a ZERO degree Celsius output, we will simulate a resistance of 100 ohms. For other set points, check the conversion table below. There are readily available conversion tables for converting Resistance to Temperature, Below is a sample table. Make sure that the temperature coefficient or also known as alpha is equal to 0.00385. 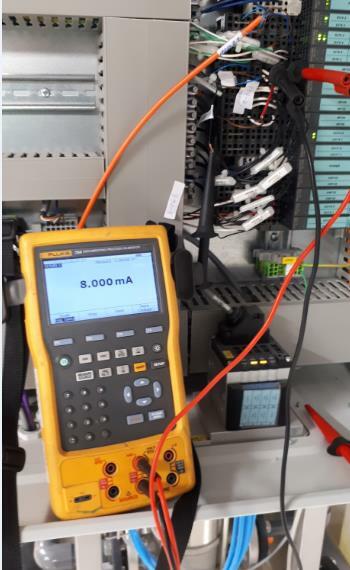 Current Measurement using Fluke 754 connected in series to the loop. In order for the temperature output taken from the sensor to be transmitted in the PLC panel display, it needs to convert the temperature output into a current signal which is the 4 to 20 mA. 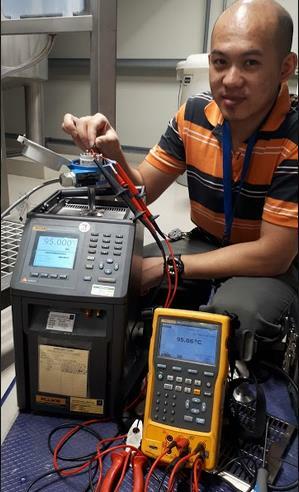 Since the transmitter is converting the temperature value to a current value that will be transmitted to the display panel, we can directly obtain this current output and perform a temperature to current conversion to verify its accuracy. This is performed by connecting the current meter in series to the supply line. Or in most compatible transmitters, you can use the HART function of Fluke 754 to measure directly in the transmitter supply terminal. Just like an RTD sensor, thermocouples are also used as a sensor for temperature transmitter. It is used normally where temperatures in the process are ranging more than 1000 deg C.
When calibrating a transmitter with a thermocouple sensor, all of the setups above can be used except set-up number 4 which is about the resistance box. The difference will only in the simulation part of the Process calibrator because thermocouples are using a Voltage signal compare to RTD which is a Resistance. Temperature transmitter is one of the most seen instruments in every industry for monitoring temperature controlled processes. Having the knowledge of what standards to be used and how to use them may help you save up costs for buying standards. You may already have the standards to be used that you can start immediately to calibrate your transmitter. In this post, I have presented 5 different setups or ways to calibrate your temperature transmitters. You do not need to perform them all. You may perform two at a time but not necessarily all of them. Other setups can be used for verification only. I also included on how to compute or convert a resistance value to temperature using a table or chart and a formula. The setup that I am always using is the setup no 1 and 2. All of the setups provides an effective way to check for accuracy but these 2 setups ( 1 and 2) provide a more visual accuracy check because the sensor and the loop are being checked with an actual heat generating standards. I hope that each set up will be useful to you. Do you have any other set up to add? Please comment below and tell me what you think..